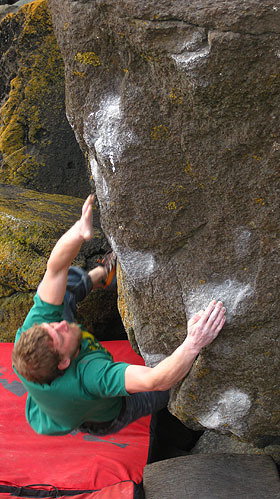 Dave Noden continues his run of good form with another hard problem down at Porth Ysgo. Dolly Rocker V11/12/8A/+ takes the hanging arête feature just left of What it is to Burn (i.e. just left of the Higginson Scar) from a sitting start.